This event would not have been possible without the contributions of all the helpers who have volunteered their time and effort to make the tournament a smooth and successful one. We would like to especially thank the current beginner class for helping out, the NYP students for coming down on Saturday to help set up the venue, and a big thank you also to the many Senseis who helped to judge the numerous matches. We would also like to express our thanks to the various visiting photographers from Sports SG, who came to cover our humble event. We look forward to their professional images of our Kendo, and extend our invitation to them to come by again at our next event! 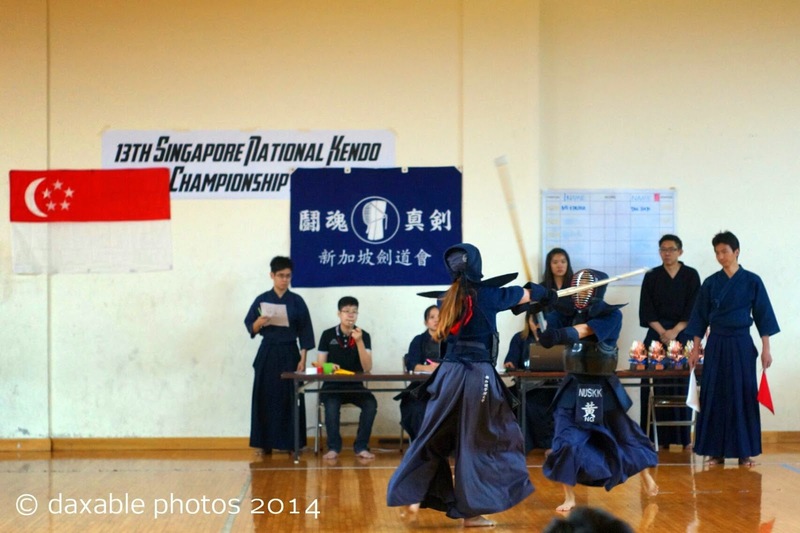 Please follow this link to see the professional photos taken by Mr Hee Kuan Weng.